Everything producers need to know about booking a shoot in Seattle, WA. Prior to arriving in a new city, every producer needs the lay of the land. This guide explores everything about Seattle, WA that producers need to know. Birthplace of the original Starbucks and Boeing Airspace, Seattle is a hip and unique city offering tourists a wide range of attractions that make it the fifth most visited city in the US. Nearly 39 million people visit each year to see the futuristic Space Needle that was presented for the 1962 World’s Fair, and Pike Place Market, which is one of the oldest farmers markets in the country. Despite its rainy appearance, Seattle gets less rain than people think and many locals choose to bike to work, making it one of the most bike-friendly cities in the country. Rent a bike yourself and head to one of the many glass-blowing studios that create delicate glasswork, second only to Murano, Italy. Seattle is home to the Seattle Seahawks and games bring fans from all over. That rumbling you may hear is either the fault line Seattle sits on finally shifting, or the thousands of fans cheering for their home team. If football isn’t your speed, you may want to catch a baseball game at Safeco Stadium to watch the Seattle Mariners play. On the other hand, culture and literacy are very important to Seattleites. More than 80% of adults in Seattle own library cards and the city’s ballets are consistently some of the most well-attended theaters in the country. Art lovers have the chance to visit the extremely popular Chihuly Garden and Glass Collections for a look at some of the stunning work of artist Dale Chihuly, who has been showcased all around the world. Seek a higher education at one of Seattle’s universities such as the University of Washington, Seattle University, Seattle Pacific University, or the City University of Seattle. Nestled between the Pacific Ocean and Olympic mountains, Seattle attracts nature lovers to its unique landscape year after year for hiking and boating. Houseboats, such as the one featured in “Sleepless in Seattle,” are also widely popular and many pay big-bucks for idyllic seaside views. Washington is one of the few states to have legalized recreational and medical marijuana, and the state has seen significant growth brought by legal cannabis. As a leader in the cannabis industry, thousands of people visit the state to partake in one of the many festivals praising it, receive medical marijuana treatments, or stake their own section in the booming business. Being the unique city that it is, whatever your production needs, Seattle can probably fulfill them. Here’s everything else you might need to know when booking a shoot in Seattle. Depending on your needs and budget, downtown Seattle offers a lot of the amenities of any major city and can be a convenient place to stay. However, it can be expensive. If luxury is something you’re after though, you’ll have no trouble picking from one of the many three, four, and five-star hotels featured downtown. Great if you are looking to be within walking distance of the action. 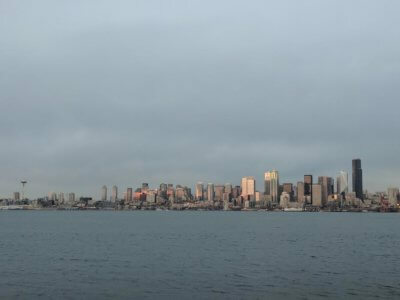 Seattle itself is made up of many neighborhoods like West Seattle, Capitol Hill, Fremont, Greenwood, and Beacon Hill, each with its own culture and commodities so if staying directly downtown isn’t ideal, you’ll have plenty of options in the surrounding areas. Only 20 minutes away from downtown is the Seattle-Tacoma International Airport. Hotels near the airport often offer free airport shuttles and accommodation tends to be more affordable outside the city. Options include the Hilton Seattle Airport Hotel and Conference Center, the Radisson Hotel, the Inn at Virginia Mason, and the Ramada Seatac Airport Hotel. As mentioned, Seattle is comprised of multiple neighborhoods including North Seattle, Broadview, Bitter Lake, Blue Ridge, Crown Hill, Greenwood, Haller Lake, Pinehurst, Maple Leaf, Lake City, Olympic Hills, Wallingford, and Loyal Heights. Each neighborhood has its own style and feel, and most are located within an easy driving distance from downtown. Distance from the airport is also not bad, averaging times of about 20 minutes from downtown unless during rush hour on I-5. Locals suggest adding 30-60 minutes to your commute when traveling between 4-7 p.m. and 7-9 a.m. It’s recommended that you use a GPS or app with traffic updates to try and avoid the worst of the traffic. There is a good reason why a lot of people who live in Seattle choose to bike to work. Transportation in the city can be extremely difficult, especially during rush hour. Luckily there are some bus lines that will take you most places you need to go in the city. Bus lines at night can be sporadic though, so if you know you have a shoot that will run late you should probably plan for a taxi or car service as a more reliable option. There are also a couple trains throughout the city and more are planned for the future. Although known as the Rain City, Seattle annually has less rain than New York City so don’t let the name fool you. For the most part, rain in Seattle is more of a mist that locals don’t even seem to notice anymore. We’d still recommend bringing a jacket though, especially for the long colder months when winter can get cold and gloomy. Summers in Seattle are boasted to be beautiful with low humidity and cool breezes off the water, leading to sunny days with temperatures in the 70’s-80’s. Summer tends to be on the shorter side. Check out the current 10-Day forecast for Seattle HERE. Crews across the country have a set of guidelines by which they conduct business. And as different as each city is from another, so are those guidelines. Every producer should have a basic understanding of each city’s standards. Shoots in Seattle are based on a ten hour day and the crew is on the clock at the specified crew call. Overtime at a rate of time and a half begins after ten hours. If your shoot takes the crew to a distant location, travel time can be expected. A distant location is any location outside a circle with a 30-mile radius drawn around the city. But all of these are just guidelines; certainly, verify with your crew their specific policies. Any additional questions you have about Seattle can be answered by the Seattle Metropolitan Chamber of Commerce or the Visitors Center.